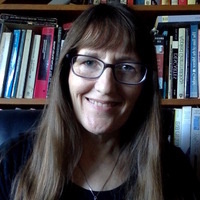 TCP - "What Miracles in the Global South Contribute to Understanding the Human Condition"
Bilinda Straight is Professor of Anthropology and of Gender & Women's Studies at Western Michigan University. Her earlier work has focused on gender, material culture, and the nature of human experience. Over the past decade, she has engaged in a series of National Science Foundation funded studies related to warfare, drought, morality, and difficult experiences, as they are both culturally experienced and sedimented in human bodies.